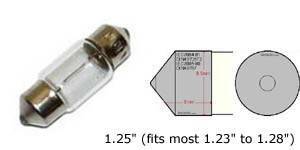 A: For festoon bulbs, there are three (3) common sizes that vehicles use: 1.15"/29mm, 1.25"/31mm, 1.5"/36mm, 1.72"/42mm. 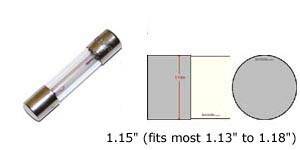 Use a ruler or a caliber to measure your stock bulb's length and see how long it is and go from there. 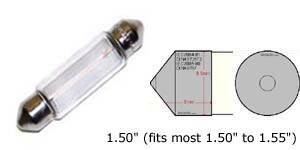 You can also use Osram Bulbs Size Guide and shop by the bulb size as well, but we recommend measuring it since Sylvania's website may not always be accurate. 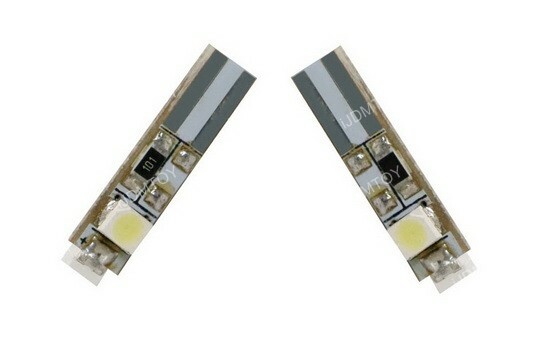 Q: If I install these LED replacement bulbs on my European car, would they cause any error messages on the the dashboard? 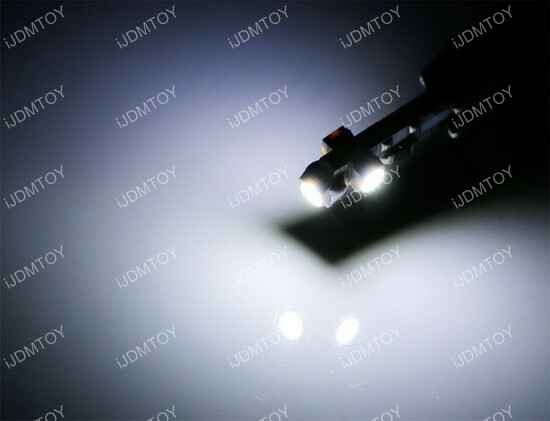 These LED bulbs are "Error Free" for the European cars without triggering bulb out warning message on the the dashboard. A: If your replacement festoon LED bulb does not light up, please try this troubleshoot: Take the bulb out, flip it around 180 degrees, and try again. 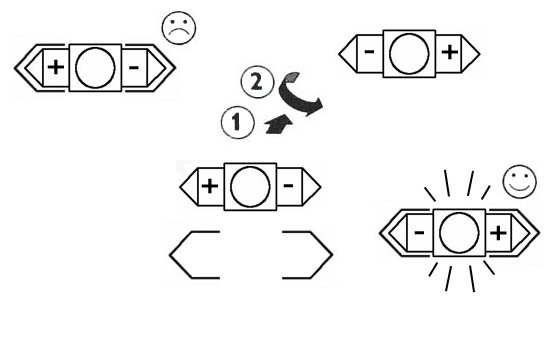 LED bulbs are polar sensitive so they will only light up when installed one way. 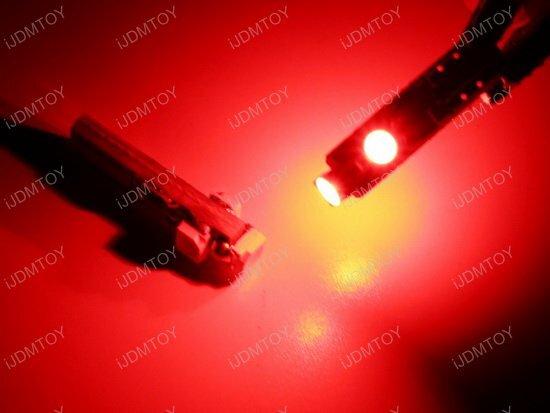 Q: I received this LED bulb, however it is slightly too long or too short, how can I install this? A: If the length difference is within 5%, you can still install this. Simply bend the metal clips a little bit inwards or outwards to have the LED bulb installed. 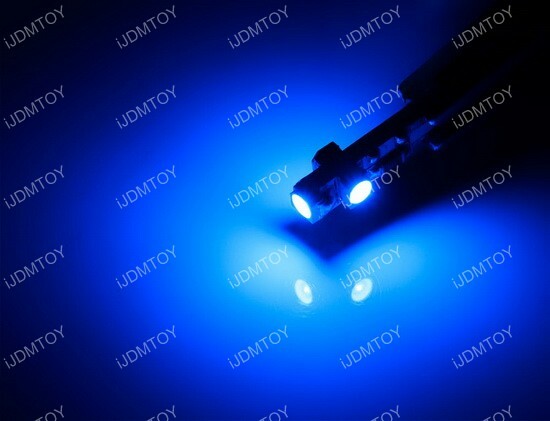 This happens the most for Toyota, Scion, Lexus and Subaru for center dome and trunk area light because they use a slightly shorter stock bulb (around 1.18~1.19"). We also have this video below to explain more about this and how to properly install in this case. 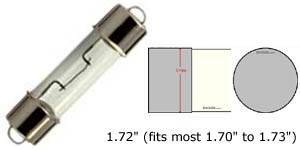 A: We have a very large collection of installation guides for various LED bulbs we carry, please visit our Tech Support/Install page to see them. Please keep in mind that we may not have an installation guide for every vehicle out on the road, but the general concept can be universally applied. 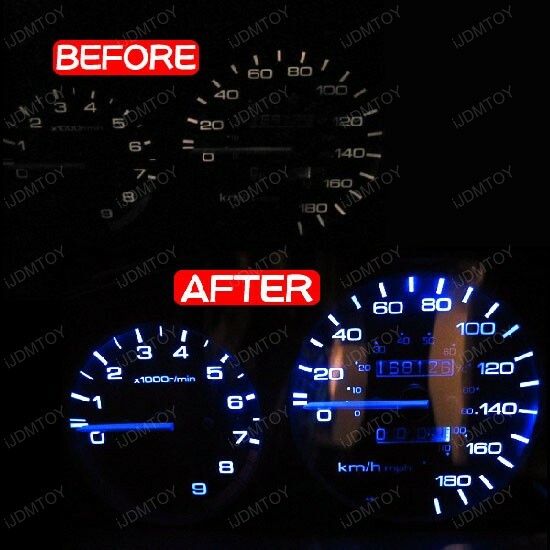 Tired of seeing the same old, dull amber or green in your gauges/clusters? 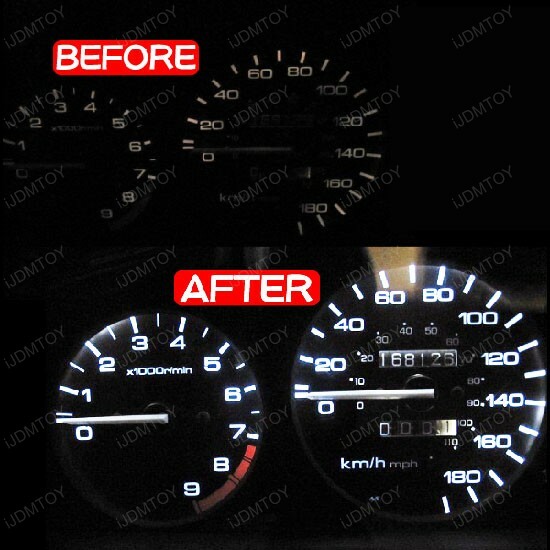 You should try changing them out with our iJDMTOY T5 (T4) LED bulbs which are great for instrument panel, gauge cluster or radio/stereo background lights.